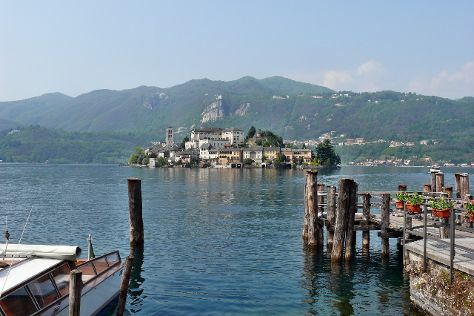 Escape the urban bustle at Lake Orta and Zoom Torino. You'll find plenty of places to visit near Turin: Azienda Vitivinicola Fontechiara (in Borgomanero) and Serravalle Designer Outlet (in Serravalle Scrivia). The adventure continues: test your problem-solving skills at popular escape rooms, take in the spiritual surroundings of Basilica of Superga, see the interesting displays at Museo Nazionale del Cinema, and make a trip to Piazza Castello. To find photos, more things to do, and other tourist information, use the Turin trip planning site . If you are flying in from United States, the closest major airports are Malpensa International Airport, Turin Airport and Genoa Cristoforo Colombo Airport. December in Turin sees daily highs of 45°F and lows of 37°F at night. Wrap up your sightseeing on the 19th (Wed) early enough to travel back home.